Oh wow I so love this project! 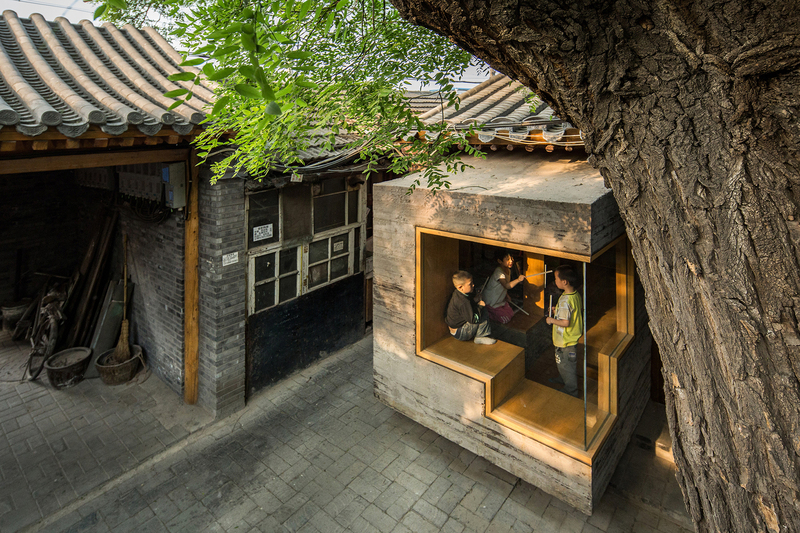 This is a great renovation and re-use of a communal courtyard in Beijing. This used to be the common building type across the city, with a dozen or so families sharing the courtyard. Over generations, each family built little additions and outbuildings to increase their space, until a little warren was created. 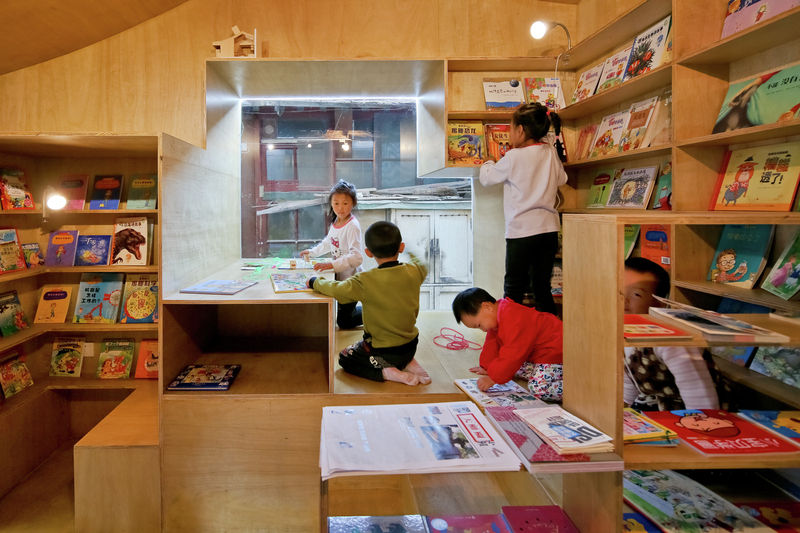 The designers took this space, and rather than demolish it completely, re-invented it to contain a simple program: children’s library, reading space, and art space. The courtyard is no longer as crammed, but it maintains the same character, with the complex interplay between enclosed and open spaces. They even managed to keep the one building wrapping around the tree. And oh my yes, that art space around the tree! 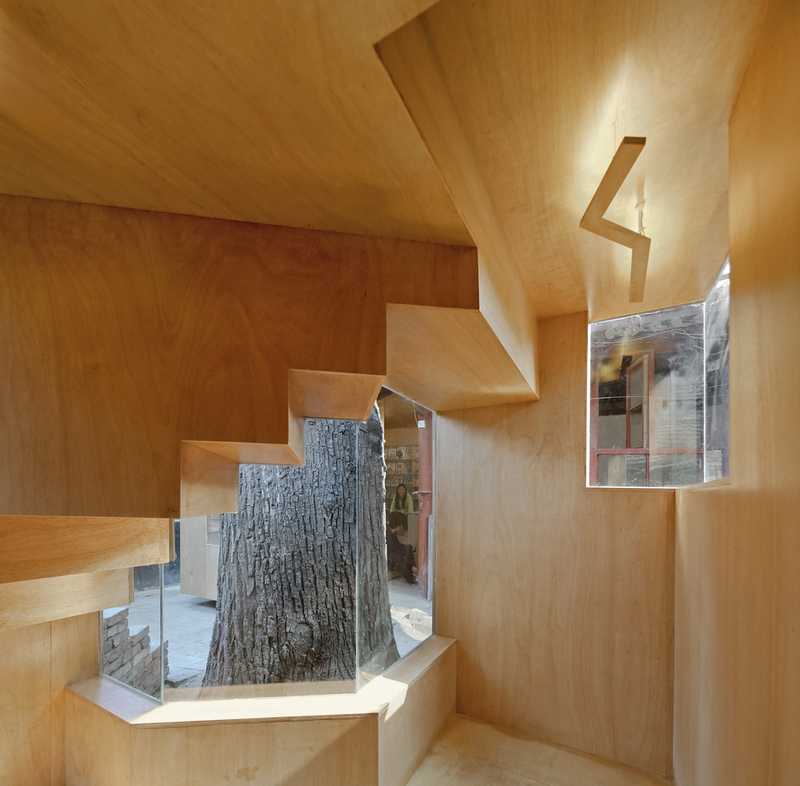 The way the window faces the tree, making it front and centre when inside, is fabulous. 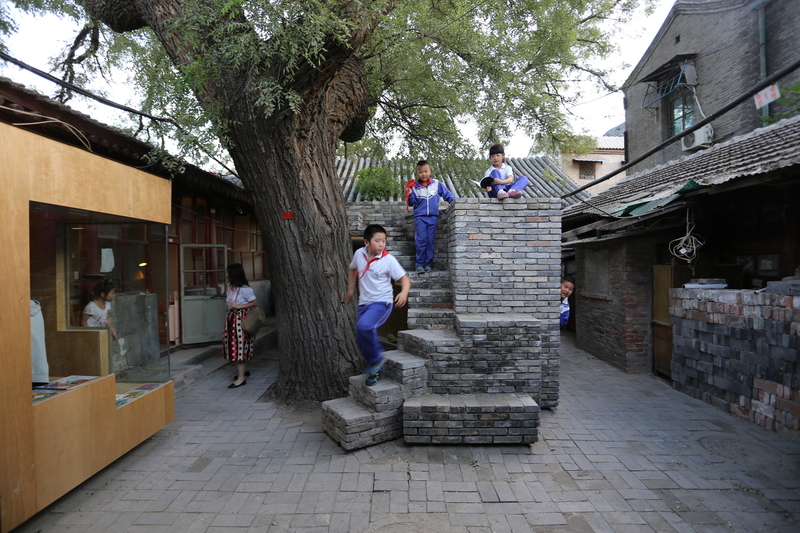 Equally so is the rough and grey brick that form stairs and a myriad of platforms, letting child and adult alike use the outside for play, for reading, or just to reach the branches of the tree above. 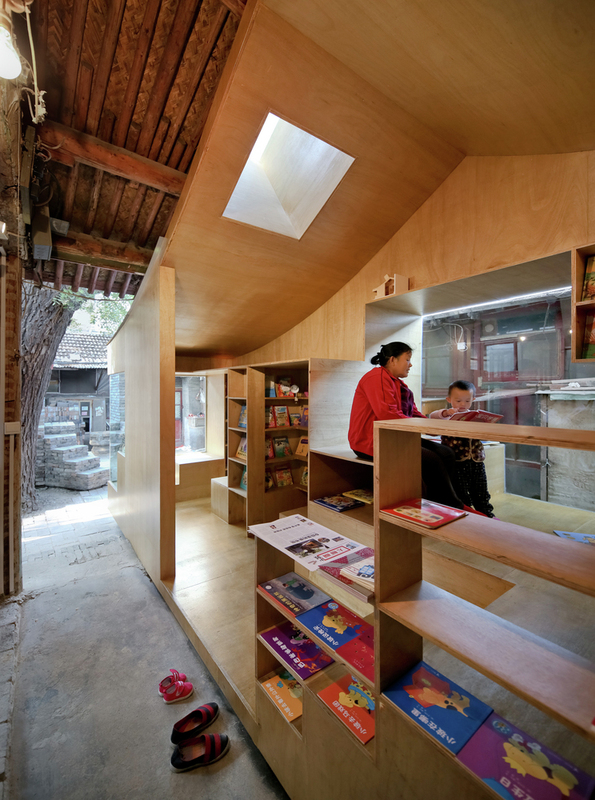 The library is artfully tucked under an existing roof, emerging in a boxlike protrusion that hovers mysteriously over the courtyard floor, it’s big window inviting investigation (as well as providing a seat and plenty of light). 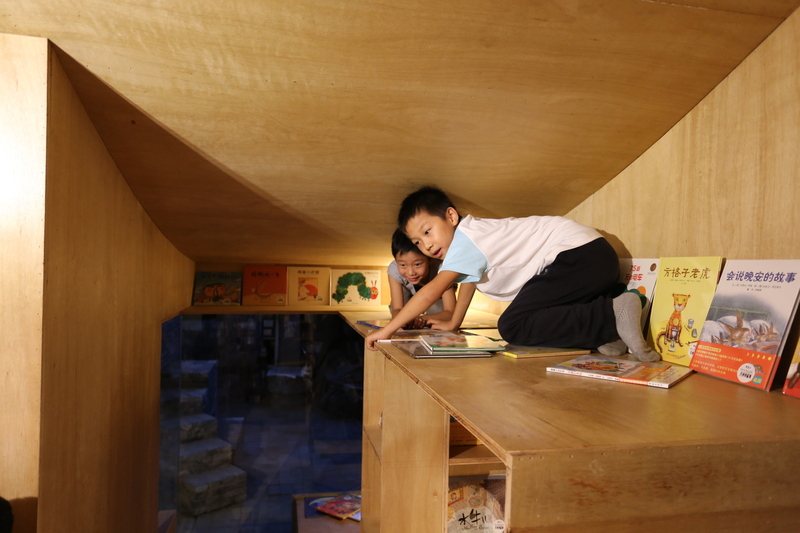 Inside, the 3D puzzle of shelves, benches, and window alcoves creates this playful environment and lots of different places to set yourself down to read, whether you want privacy or openness, light or enclosure. 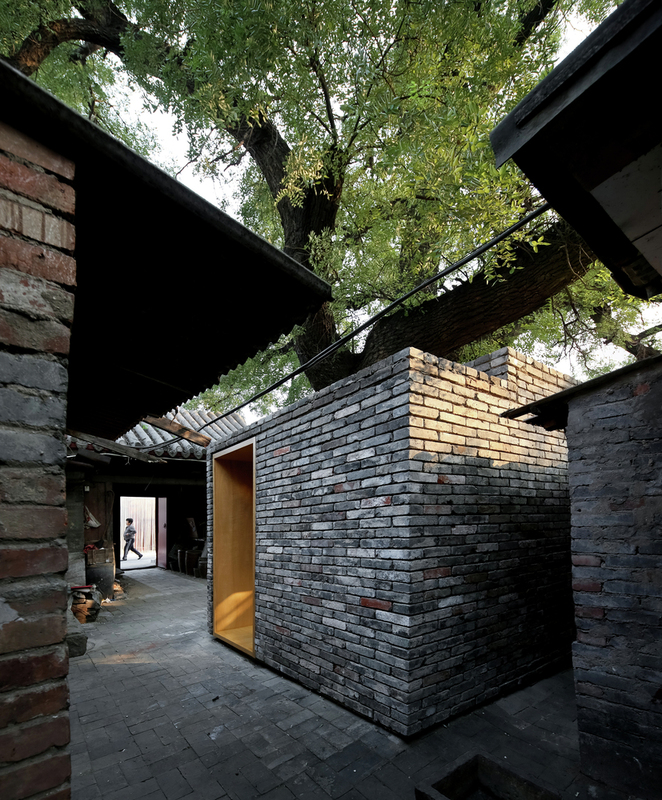 Everything is done with simple materials put together with precision, the warm wood a nice contrast to the grey brick and concrete tinted with Chinese ink that itself ties into the surrounding buildings and the feeling of longevity and continuity of the courtyard.